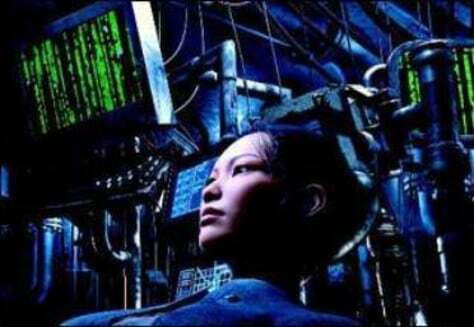 A crew member of the Osiris hovercraft is surrounded by monitors in an animated film based on "The Matrix." The "Matrix" film series suggested that our everyday experience is basically a computer simulation. Researchers are now proposing a way to test that way-out hypothesis.